Play with Colorful New Fashion! Enrich your digital life with vivid colors! 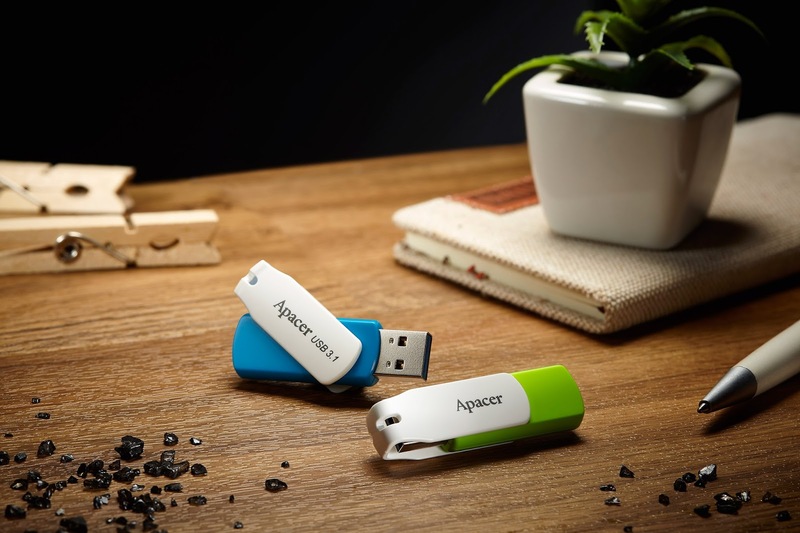 The leading mobile storage brand Apacer released the all-new swivel flash drives USB 3.1 Gen 1 AH357 and USB 2.0 AH335, and used stunning colors to lead the fashion trend. The 360-degree rotating cap can be uncovered within a second and will never fall off. Enjoy the convenient advantage of high speed transmission anywhere and anytime! The maximum storage capacity of AH335 and AH357 reaches up to 64GB, allowing you to carry large numbers of multimedia files to enjoy mobile entertainment. AH357 uses the newest USB 3.1 Gen 1 super speed interface, able to reduce transmission time significantly and bring easier digital lives! 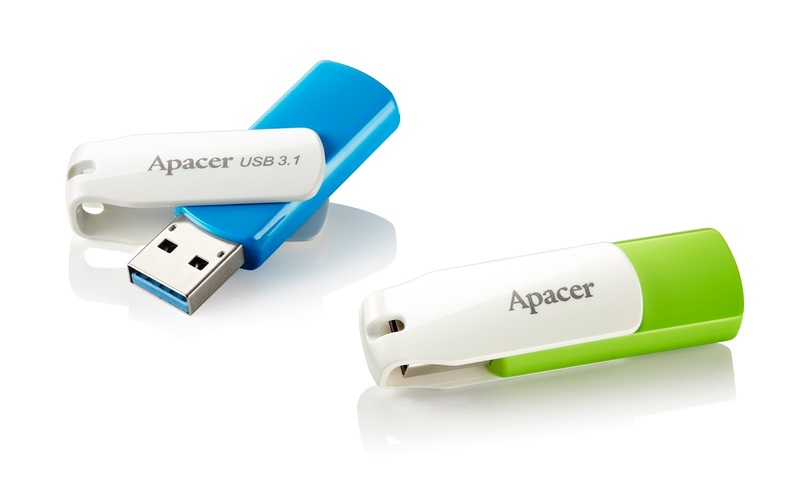 The design team of Apacer used meadow green and ocean blue that represents sunshine and livelihood as the main colors for AH335 and A357, along with a snow-white swivel body and protective cap, displaying bright and colorful vitality and allowing a small digital accessory to attract everyone’s attention. The unique rotating arc cover not only makes it look livelier; it also enhances how it feels in your hand. The swivel cap design allows the convenient advantage of never losing the cap, and it can protect the USB port connector from accumulating dust and wear and tear. The hidden strap hole allows the use of personalized charms, making it easy to carry while displaying unique personal taste. In order to optimize user experience, the surface of the rotating back cover was processed with a special non-slip surface, making it compliant with ergonomic non-slip designs and providing a stable and comfortable grip. All these details show delicate design considerations. AH357 uses the newest generation USB 3.1 Gen1 high-speed interface, able to quickly transmit large numbers of files, increasing work efficiency and reducing waiting times. AH335 used the USB 2.0 interface and has the widest equipment compatibility, making it the best digital accessory that is both the most practical and has the highest C/P ratio. AH335 and AH357 come in four capacity selections: 8GB, 16GB, 32GB and 64GB, providing diverse selections for users. To enjoy vivid, colorful, flexible and convenient digital life, start from the AH357 and AH335 swivel flash drives! Creative Swivel Cap Body, Enjoy Convenient and Colorful Digital Life!